MSC is to meet at the Organization?s London Headquarters for its 85th session from 26 Nov to 5 Dec 2008. 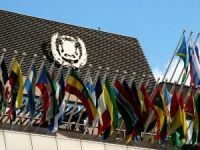 IMO"s Maritime Safety Committee (MSC) is to meet at the Organization"s London Headquarters for its 85th session from 26 November to 5 December 2008. The packed agenda includes discussion on the Long‑Range Identification and Tracking (LRIT) System, the development of goal-based standards for new ship construction and the adoption of amendments to the International Convention for the Safety of Life at Sea (SOLAS). The MSC is expected to consider issues relating to the establishment of the LRIT system, including the setting up, testing and integration of LRIT Data Centres. The ad hoc LRIT Group has met on a number of occasions and will report to the MSC on progress made, in particular with regard to the completion of the prototype testing of the LRIT system and the commencement of the setting up of the production system. SOLAS regulation V/19-1 on LRIT entered into force on 1 January 2008 and will apply to ships constructed on or after 31 December 2008 with a phased implementation schedule for ships constructed before 31 December 2008. The LRIT system is intended to be operational with respect to the transmission of LRIT information by ships from 30 December 2008. 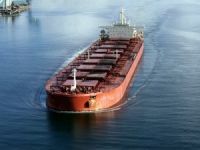 The MSC is expected to consider a set of goal-based standards (GBS) for new ship construction, for bulk carriers and oil tankers, with a view to making their application mandatory under amendments to SOLAS Chapter II-1. 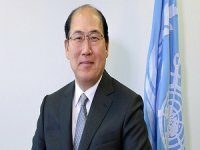 The work on GBS has been developed on the basis of a five-tier system, consisting of goals (Tier I), functional requirements (Tier II), verification of compliance (Tier III), IMO requirements, classification rules and relevant national requirements(Tier IV) and industry standards and practices (Tier V). 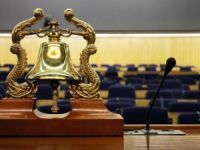 Discussions at MSC 85 are expected to focus on the finalization of the GBS for bulk carriers and oil tankers, including draft SOLAS amendments, the standards themselves and a related Ship Construction File. The MSC will also consider Guidelines for the verification of compliance with GBS. The MSC is expected to establish an ad hoc Working Group on Maritime Security. 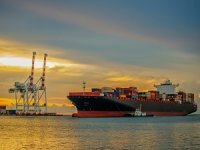 Draft Guidelines on security aspects of the operation of vessels which do not fall within the scope of SOLAS chapter XI-2 and the ISPS Code, developed by a correspondence group, will be submitted for consideration by the Committee. The MSC will also consider the need to developguidance on port facility security audits as well as model legislation on maritime security. The MSC will review the latest statistics on piracy and armed robbery against ships and consider an interim report from the correspondence group on the revision of its guidance on the prevention and suppression of acts of piracy and armed robbery against ships. 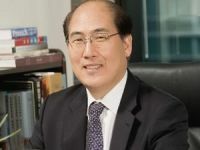 The International Code on Intact Stability, 2008 (2008 IS Code) and the draft amendments to the SOLAS Convention and to the 1988 Protocol to the Load Lines Convention making the Code mandatory are expected to be formally adopted and a draft MSC circular on Early application of the International Code on Intact Stability, 2008 (2008 IS Code), to encourage its implementation, will be submitted for approval. The 2008 IS Code is a revised version of the Intact Stability Code (IS Code) which was adopted in 1993 by IMO Assembly resolution A.749(18) and later amended by the MSC in 1998. The revised Code provides, in a single document, mandatory requirements in part A and recommended provisions in part B relating to intact stability, taking into account technical development, in particular the dynamic stability phenomena in waves, based on the state-of-the art concepts available. 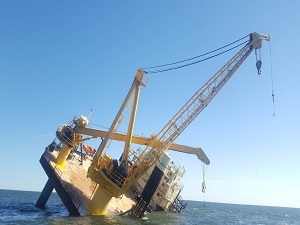 The Code"s envisaged mandatory status, under both the SOLAS Convention and the 1988 Protocol of the Load Lines Convention, will significantly influence the design and the overall safety of ships. The International Maritime Solid Bulk Cargoes Code (IMSBC Code) and the draft amendments to SOLAS chapter VI to make the Code mandatory are expected to be formally adopted. The proposed IMSBC Code will replace the Code of Safe Practice for Solid Bulk Cargoes (BC Code), which was first adopted as a recommendatory code in 1965 and has been updated at regular intervals since then. A revised version of the Code was adopted in 2004. The aim of the proposed mandatory IMSBC Code is to facilitate the safe stowage and shipment of solid bulk cargoes by providing information on the dangers associated with the shipment of certain types of cargo and instructions on the appropriate procedures to be adopted. The MSC will also consider, with a view to adoption, amendments to the SOLAS Convention, other than those referred to above; to the International Code of Safety for High-Speed Craft, 2000 (2000 HSC Code); to the International Life-Saving Appliance Code (LSA Code); and to the International Safety Management Code (ISM Code). 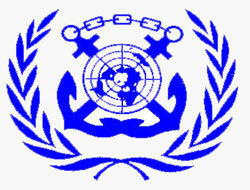 The list of Parties deemed to be giving full and complete effect to the provisions of the International Convention on Standards of Training, Certification and Watchkeeping for Seafarers (STCW) 1978, as amended, is expected to be updated when the Secretary-General submits his report on those countries of which independent evaluations have been completed since the previous MSC meeting.
? a draft strategy for the development and implementation of e-navigation, including a draft framework for the implementation process for the e-navigation strategy along with a timeframe, submitted for approval.